Flip a coin. 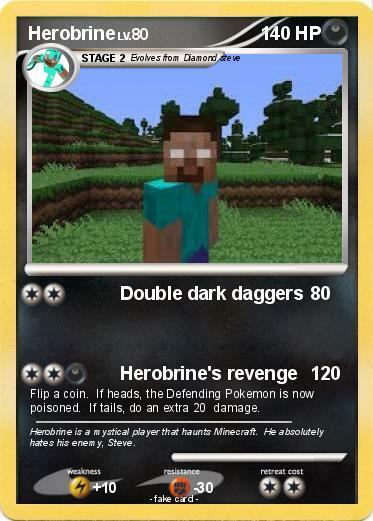 If heads, the Defending Pokemon is now poisoned. If tails, do an extra 20 damage. Comments : Herobrine is a mystical player that haunts Minecraft. He absolutely hates his enemy, Steve.